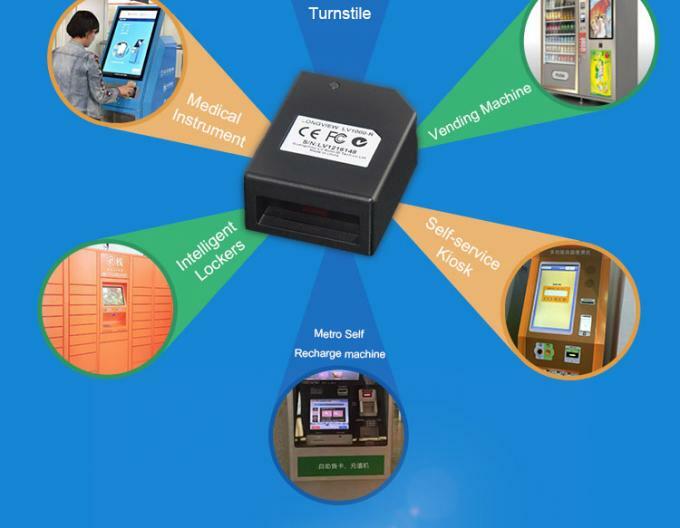 Designed for OEM applications, this high performance fixed CCD scan engine can easily be integrated into various solutions such as kiosks, ticketing machines, (Reverse) Vending Machines and many more. technology includes the optical, CMOS, digitizer, decoder, image processing & embedded systems. 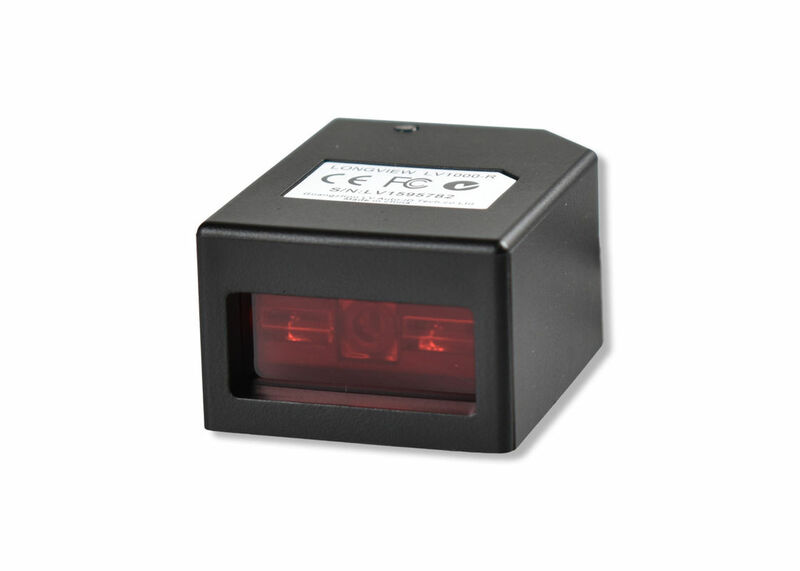 The scanner supports all global standard 1D and 2D barcode symbologies. Its' reading performance reaches and exceeds global standards. 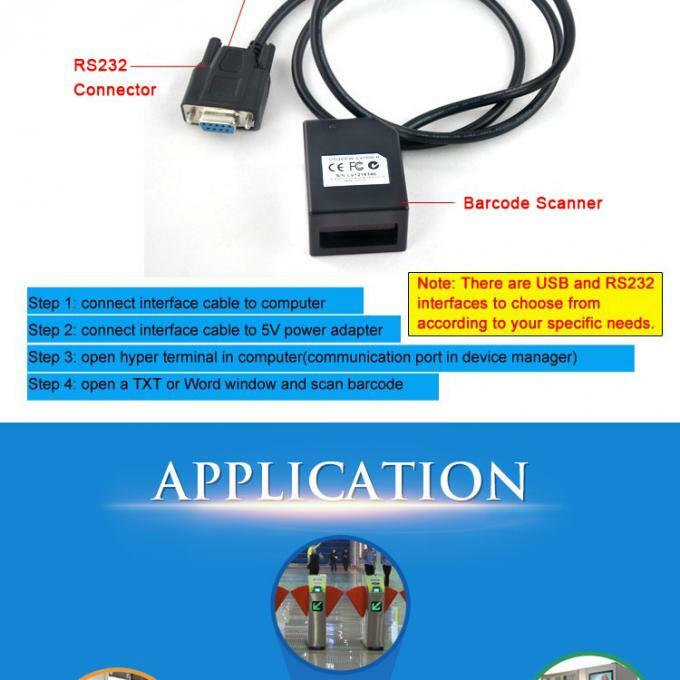 By using the accessories provided, the user can ideally set up the scanner to its user environment. Symbologies Code128, EAN-13, EAN-8, Code39, UPC-A, UPC-E, Codabar, Interleaved 2 of 5, ISBN/ISSN, Code 93, UCC/EAN-128, GS1Databar,etc. Cable RS232 Cable Equipped with a power connector; used to connect the LV1000R to a host device. USB Cable Used to connect the LV1000R to a host device.